I’m not sure to whom I should write this letter, but perhaps you could pass it on to your colleagues if this is not your field. I tried to contact directly, the heads of 3 university career services, in 3 different countries, posing the same questions, but received no response. I’m sure they are very busy. However, these questions continue to baffle me and have done for over 5 years now. I am an international executive search professional and career transition coach. Through my profession I coach new graduates in the job search process and as a parent of 2 Gen Y kids I have a wide circle of friends with children of the same age, many seeking entry-level opportunities. So I come across on a daily basis, young adults who are simply overwhelmed by the process of getting a job. I just have to ask myself why that is. Then I thought I would ask you too – as presumably you must have the answers. Gen Y have to be the most technologically savvy generation of all time, multi-tasking is in their blood. So why are so many of them confused about what needs to be done? There is so much free information on the internet, yet many don’t use it. How much time do you spend with them introducing them to social media platforms explaining their value as a job search technique? Or are they simply ignoring you? I have many other questions. Let’s start with basics. What percentage even use your services? I’m perplexed why so many of them simply don’t have the first clue. They don’t know what they’re good at and they don’t know how to find out. What sort of aptitude or personality tests are available to them via university careers offices? Or is it that they just choose not to get involved and prefer this hit and miss process? I’m also bemused why so many of their CV/resumes are so badly written. It doesn’t matter where in the world they’ve been to college: US, Canada, UK, Europe. Most are seriously suspect. From my perspective, further education should be about two things : learning for its own sake and the acquisition of knowledge, but also to equip young people to be strong contributors to our economies and to make them self-supporting and sufficient. They are supposed to be our brightest and best. Do you think therefore, there is a place for job search techniques in our educational curricula, in the same way as we include Economic Theory, The complete works of Shakespeare or Engineering Applications of Artificial Intelligence? So I continue to remain bewildered, as millions of young graduates year after year, flood our global workforce, seemingly poorly equipped to join international economies, or worse still expected to work as unpaid interns to gain even basic skills. I can’t help wondering if it isn’t time for educational systems to formally address this problem and ask what your plans are, if indeed you have any? This entry was posted in #Gen Y, Careers Advisor, Entry level, Entry level CVs, internships, Millenials. Bookmark the permalink. Dorothy, while I can’t help with connections to career advisors (I wish I could!) I agree with your concern that certain skills crucial to young people’s success are not being addressed in our education systems. My own concern is about the ability to speak effectively in public. Students in Canada are required to give presentations throughout high school, but they are not being taught basic presentation SKILLS. They leave the education system thinking that memorize-and-recite or mumbling-into-notes are acceptable forms of presenting, completely unaware of the importance of audience connection and dynamic delivery, or how to create them. True, Gen Y are the most technologically savvy generation of all time, but it is the rare exception to find a young person who has any idea how to SPEAK! Like you, I have tried to make connections with higher learning institutions to discuss this issue, and met with no response. Unlike the field of job search and resume writing, however, oral communication is something that can be addressed at the grade school level. To this end, I have set myself the task of creating classroom lesson materials for teachers, so they can help the chidren in their classes grow up speaking effectively to groups without fear. I’m a woman on a mission! I know I haven’t helped you in your quest, but you have given me a chance to voice my own concern. I think what we are addressing here is the need to equip young people with RELEVANT life skills as well as technical knowledge. Hi Heather – I think we’re on the same page – young people spend about 17 years in our educational systems and then don’t know what to do when they get out. Somewhere we are failing them. Dorothy, I agree, our education system is failing in many respects. When someone can graduate from college and not have a clue as to how to do a job search or doesn’t even know what they’re best suited for, something is wrong on a grand scale. That’s why, now, maybe more than ever before, taking full responsibility for your own life and career is mandatory. Hi Alan – thanks for your comment. I agree we have to take responsibility for our own careers but believe that education systems need to educate all students on how how to maximise their skills and prepare them for the workplace and their places in our economies. I agree so much with what you say here. I have been quite shocked by some of the advice I have needed to give diligent young graduates that I’ve been asked to see. I think Heather is right, we need to start with the teachers, themselves. I suspect for many we are dealing with something outside their experience! Yes, it is a time to take responsibility for our own lives but in my view, the role of education systems is to prepare us to do that! Hi Wendy – Thanks for your comment. I agree that education is the precursor of a workplace activity and therefore grooming for that goal should be part of and the respobsibility of the curriculum. In my view the system has failed when graduates don’t know what their transferable skills are and what they can do with them. Clearly there should be individual responsibility, but when individuals assume responsibility for their own career education totally, that leaves the students from wealthy and professional families with a distinct advantage – as we saw when internships were bid for in a charity auction. One reason is that funding and staffing for college career centers tends to be low. Very low. Budgets are low. Salaries are low. Many, many, many more dollars are spent to recruit students than to pay for professionals who can help them navigate internships, figure out what they want to do when they graduate and equip them with basic job search skills. So, although quality of service varies a lot from school to school, most career center professionals are juggling, trying to make a nickel (of time and energy) stretch to 99 cents. Hi Phyllis – thanks for your comment. I do understand that career services the world over are under funded but ask 2 questions: why don’t they refer students to online resources – which are abundant and free? They clearly don’t! Or taking it even further why is such an important topic (how to earn a living) not included as a core curriculum subject? After all isn’t that one of the reasons they are attending university? Dorothy – I totally agree with you about the importance of career education in college and that the quality is very varied. I think most schools, even if they are low in staff, have online directories of resources. I directed a career center in the past at a school where instruction in the business side of each major was required in most majors. When I joined I wrote a 4-year developmental curriculum for career preparation that integrated personal evaluation/career choice material and internship/job search training into the academic program. It was adopted into the school strategic plan. I wish more schools would make similar efforts. So, I absolutely agree with you on that. Hi Phyllis- it sounds as if you were ahead in the field and colleges could do well to follow your lead. Whilst my school’s career advice was a few more years ago than most graduates now, I can remember being thoroughly disgusted with the advice I received from my School’s Career Advisor. ‘Nicola should do something in art’! was her comment. ‘Tell me something I don’t know’ I thought to myself. There was no suggestions as to how I should go about it, where I should look for information, any further training I should take. There were no aptitude tests, no suggestions of papers or magazines I should look in, no looking into my character or abilities, apart from the fact that my school report said I was good at art. Art as we know is a VERY large subject area. I was left to fend for myself. It was my mother who found a course at a local college that was useful. Thanks Nicola – your experience seems to be very common particularly for those students with non technical or vocational degrees. As the number of graduates generally is increasing educational systems need to provide stronger systems for guidance or (dare I say it?) governments need to examine the type of degree courses on offer and the numbers attending them. I encountered a young person with a Masters in Medieval English competing for a job that an unqualified school leaver could do. This is particularly important when some students are building up significant debts to do these courses. At one level I’m not sure that today’s Graduate is that much different from the Graduate of previous generations. They are, however, faced with a much more complex environment and competitive job market. The entry levels for them have also changed and are less clear. Separate from this, right from secondary school level, students or pushed to make choices, often without having a full understanding as to why or where the options that they choose will or can lead them. This is heightened by the fact that students are often not taught to be independent learners and curious thinkers. This may begin to explain why young people may not be using technology to their full advantage even though they are technologically savvy. Aside from the whole issue of funding for career services, there is a question about the actual knowledge and awareness of the people providing support within Universities. The job market and means to access opportunities have shifted. I’m not fully confident that those providing advice have a fully awareness and knowledge of how things work in order to offer appropriate advice and support. Hi Susan thanks for your comments. Yes I agree the issues are far more complex than it would first appear and raises questions as to whether our education systems are in line with economic needs. I have no way of knowing whether universities are providing support and students are not availing themselves of the facilities or there is no, incomplete or incorrect guidance. As a search specialist and coach, I only see the final result, which is confused young adults who appear out of their depth. I understand your frustration (I teach in a UK university) and hope I can provide some context. Education has become almost fail safe. Not all progress from GCSE to A level (UK context), not all go one to higher education (some 40% of school leavers do). But of those who do progress, they will never have encountered failure. For every failed exam or assignment, there will be feedback, coaching and a second chance. Coursework is more typical than exams on many courses. Contrast this with the job application process, where failure is not just common, it’s likely (in a competitive interview situation, it’s winner takes all). Feedback is rarely given (and not often requested), so there’s little opportunity for learning. I’m suggesting that education is not supporting a competitive, entrepreneurial approach. Safety is rewarded, not risk taking and initiative. Is there any good news? With fees of around £9,000 a year from 2012, everyone (students, lecturers, careers advisers etc) will have to up their game. And the enthusiasm for BBC’s The Apprentice shows an appetite for high stakes competition among the generation we’re discussing. I still find that there are more employers seeking good graduates than the other way round (I teach a vocational discipline). Richard thanks for your comment. I can see how in teaching a vocational subject the boundaries, guidelines and outcomes are much clearer. As unviersity fees increase in the UK will there be a reduction in soft subjects? 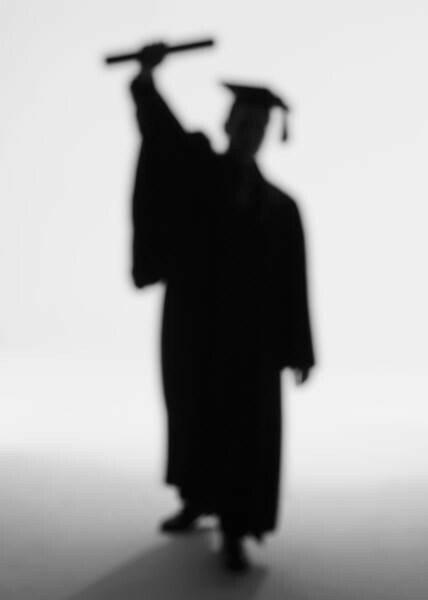 Employers are always seeking top graduates – but in many cases there are good graduates who are either simply not visible or who are not putting themselves forward. Many are missing excellent opportunities. Dorthy, I am a parent of two gen Y-ers and wanted to share my experience of getting them through the college process and into the job market. My husband and I both have Masters degrees, his is in Business Finance and mine is in English and American Literature, so you can guess already that we both have vastly difference experiences in the job market. My eldest daughter graduated from a top 10 state university, living away from home, and we both simply expected she would be supported and guided through the field of study and job applicablity process by this prestigious university. Needless to say, she was given very little meaningful advice or direction about the many opportunities she could pursue in the communications field, and wasn’t encourage to intern, and she found it nearly impossible to get an any entry level position without experience. Needless to say, two frustrating years of odd-jobs below her education level later she is going back for an MA in Elementary Ed and has left her “career field” in dispair of finding anything that fits her, or makes her feel like she is making a contribution. Fast forward to my son, who will be a sophemore in college this year.Learning what is “our lesson,” my husband and realized we MUST step in and take a very active role in helpng to guide him as he ended up drifting through his freshman year at a state university. He has since transferred to a small private college on a sports scholarship and we, his parents are proactively staying in touch to make sure he thinks seriously about the applicablity of his choice of field of study, and that he does all the right things, i.e. internships that will give him what I now call “invaluable” on the job experience. The lesson learned by us as well educated parents is that we MUST take the success of our childrens futures on ourselves, very much like a job, and guide our kids through college and into the workforce. No longer can we depend colleges taking an interest in where our children end up after they leave the hallowed halls, or after we have paid the fortune that it takes to get a degree. Hi Jessica – thanks for sharing your stories. I actually think, unhappily, that they are quite common. I agree that it seems that individuals need to take responsibility for their own careers. My concern with this strategy overall, as I mentioned earlier, is that students from professional or wealthy families will have a head start over those from less priveleged backgrounds. This is why I think career planning should be a compulsory part of the curriculum, available to all and not an optional, under funded support service. I have spoken at a number of london universities over the last few years about career choices but specifically with the angle of networking. many of the students are wholly unprepared for the world of work, but I will add that the Russell Group (top 20 universities) tend to be more clued up. I have spoken to career advisers at some unis to express these concerns with some citing lack of funding others with their hands tied. I wish there was more and have even pointed students to amazing online sites who can provide such services which compliment schools. Heck I even point some of them to a show I done online where I coached teenagers in chosing their future career paths. I think it is painful that many unis aren’t prepared to deal with this and it is our duty to constantly press them and the career institutes which many career advisers belong to, to keep looking for ways to engage and empower students to plan not just job searching but career mapping for their future work. given the lack of jobs available this will be an uphill task but there is hope. Thanks David for your contribution. One of the issues seems to me that there are more young people going to university especially to take “softer ” subjects and now fewer jobs. As Jessica points out many are taking post grad courses to defer the trauma of dealing with the workplace. I contacted top universities in US, Canda and UK after I had coached students who had just graduated from their institutions, with no response. It seems we are educating our young people, but then have nowhere for them to go and they have no idea what they can do. Whether this is a political, educational or business issue , or a mix of all, I’m not sure. But something isn’t right somewhere! As you say all we can do is to keep flagging the problem up. As a recent college graduate, I couldn’t help but nod in agreement to your post. I visited my career services center a few time throughout my senior year. Two different people looked over my resume and edited a cover letter for the first job I applied to, but their assistance was truly little. I discovered three typos on my resume they had BOTH missed. After that I began passing my resume to a friend to proof. Both individuals I communicated with offered me little assistance other than telling me to explore my options on a website and talk to alums. While the networking is valuable, I still feel lost. They praised my experiences (my school–a small, prestigious liberal arts college–is very big on pushing internships, and I graduated with three and multiple on-campus experiences) and told me I would have no problems finding a job. Over 30 job applications and a handful of failed interviews later, I’m not so sure of their judgment. Hi Sarah – thanks for your comment. Your story is very typical and I coach graduates globally. It’s partly to do with economic circumstances and partly lack of up to date correct advice. Please connect with me on LinkedIn. There is lots of available information out there to support you. Good luck! I agree with you also. When I started out (5 years ago) it took me over 6 months and a lot of psychotherapy to get a job. I desperately tried to find out what the possibilities were and all I got from my career advisor was “you can do anything”, which of course only made me more anxious. However, I did get my first career job because of their CV database. This was in Spain. I have to say my UK university was much better. They did have a lot of resources available, though not much in terms of person-to-person contact. However, the best help I found was online, at prospects.co.uk, and I was referred there by my university. The difference with Spain was so great I don’t really feel I can complain. However, something as small as a 1 or 2 hour talk of what we could do with our specific degree as part of our course would have worked wonders. Victoria – Thanks for your commment. I have encountered your story all over the world. I strongly believe that having this sort of job search course on curricula will serve a useful purpose for all job seekers.